Congressional investigators have gathered enough evidence to suggest that the FBI, under the Obama administration, ignored a major lead in the Clinton-email probe, according to transcripts of closed-door testimonies of several current and former bureau officials. The existence of the lead was first revealed during the public testimony of Department of Justice (DOJ) Inspector General Michael Horowitz in June last year. Horowitz acknowledged the existence of the specific lead and said he spoke about it to Intelligence Community Inspector General (ICIG) Charles McCullough. Yet despite the alarming nature of the referral, Horowitz’s 568-page report on the FBI’s handling the Clinton-email investigation made no mention of the lead or how the bureau handled it. The omission caught the attention of Rep. Mark Meadows (R-N.C.), who pressed Horowitz for an explanation. Horowitz said he would get back to the committee with answers. It is unclear if Horowitz ever followed up on that promise. Meadows went on to question several current and former FBI officials about the lead, including Peter Strzok, Lisa Page, Bill Priestap, Jonathan Moffa, John Giacolone, and James Comey. In all of the interviews, transcripts of which were reviewed for this article, the officials claimed to remember nothing about the specific referral from the ICIG, suggesting that the lead was either suppressed or ignored by investigators. During questioning, Meadows repeatedly suggested that Strzok, the former official best known for being fired from the FBI last year for his anti-Trump text messages, ignored the lead and never followed up with the ICIG regarding the referral. 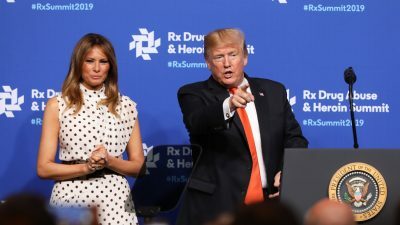 The bureau also did not interview anyone from the ICIG’s office, including Frank Rucker, the investigator who initially briefed the FBI team about the anomalies, according to the transcripts. An official from the ICIG communications office did not respond to repeated requests for an interview with Rucker. Meadows summed up what lawmakers have learned about the ICIG lead while questioning Comey on Dec. 17 last year. Comey served as the director of the FBI during the Clinton-email probe. 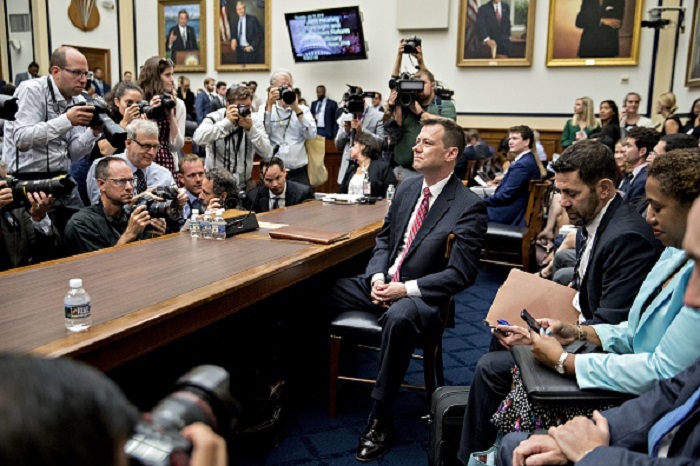 He was one of the last witnesses interviewed by lawmakers shortly before the House judiciary and oversight committees wrapped up their review of actions taken and not taken by the FBI and the DOJ during the 2016 presidential election. 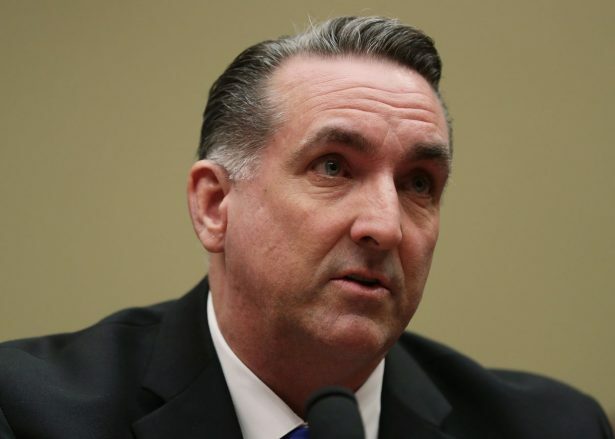 When contacted for a comment about the allegations, McCullough, now a partner at the Compass Rose Legal Group, said that he did not expect the FBI to follow up on the referral with his office. McCullough also said he never alleged that the FBI ignored any leads. “Having spent 10 years of my life as an FBI special agent, I presumed they would take appropriate action with respect to whatever information I gave them. I did not follow up with them to ensure that was the case,” McCullough added. The FBI had no comment on the allegations. Strzok was one of four officials briefed on the anomalies. He was transferred to FBI headquarters from the field office in Washington to work on the Clinton-email probe around two months after it was opened and, eventually, the investigation into alleged collusion between the Trump campaign and Russia. According to Meadows, Strzok called the ICIG office 10 minutes after Comey exonerated Clinton in July 2016 and asked to close out the inspector general’s referral. The ICIG referred the Clinton-email case to the FBI on July 6, 2015, pursuant to the Intelligence Authorization Act, which requires agencies to advise the FBI “immediately of any information, regardless of its origin, which indicates that classified information is being, or may have been, disclosed in an unauthorized manner to a foreign power or an agent of a foreign power,” according to the Justice Department Inspector General’s report on the handling of the email case. The bureau officially opened the investigation on July 10, 2015. Meadows confronted Strzok about the metadata anomalies in Clinton’s emails during a closed-door interview on June 27 last year. McCullough told The Epoch Times that he did interact with the bureau after the initial meeting when he referred the Clinton-email case. He tasked Rucker to handle day-to-day interactions with the bureau. Rucker would go on to pass information to the FBI in several tranches. It is unclear whether the metadata-anomalies lead was passed along during the initial referral or as part of a separate meeting. According to a version of events put forth by Rep. Louie Gohmert during Strzok’s public testimony in June last year, Rucker passed on the referral during a meeting with four FBI officials. Jeanette McMillian, the legal counsel for the ICIG, also attended the meeting, according to Gohmert. According to the transcripts, three of the four FBI officials briefed by the ICIG were Strzok, then-Executive Assistant Director John Giacalone, and then-Section Chief Dean Chappell. The identity of the fourth official remains unclear. Moffa, who was a lead analyst on the Clinton-email probe, told lawmakers during a closed-door interview on August 24 last year that he met the ICIG together with Counterespionage Section Chief Charles Kable. Moffa said he and Kable met the ICIG two or three times during the early days of the investigation. Lawmakers asked at least two of the four present at the meeting, Strzok and Giacalone, about their interactions with the ICIG. Both claim to not remember being told anything about anomalies in the metadata of Clinton’s emails and the possibility that a copy of every message was sent to a foreign actor. 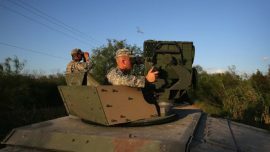 Giacalone told lawmakers he remembers a specific country of concern being discussed during either a face-to-face meeting or other communication. President Donald Trump suggested in August last year that Clinton’s emails were obtained by China. “Hillary Clinton’s Emails, many of which are Classified Information, got hacked by China. Next move better be by the FBI & DOJ or, after all of their other missteps (Comey, McCabe, Strzok, Page, Ohr, FISA, Dirty Dossier etc. ), their credibility will be forever gone!” he said. 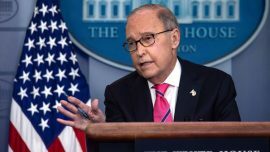 The president was likely responding to a report released days earlier by the Daily Caller citing two anonymous sources claiming that a Chinese-owned company operating in the Washington area obtained nearly all of Clinton’s emails. The firm received Clinton’s emails in realtime using a code embedded on a private, unauthorized email server she used for government work while she was secretary of state, the report alleged. Fox News confirmed the Daily Caller report, citing two anonymous sources. It is unclear if the Fox sources are different from those used by the Daily Caller. Kable and Chappell served as counterespionage section chiefs alongside Strzok during the early days of the Clinton-email investigation. Both Kable and Chappell have expertise in Chinese espionage, a factor which, if the media reports about China are is true, may have initially contributed to their selection for the Clinton-email team. Kable led investigations against “known and suspected Chinese intelligence officers in the U.S.” for a year and five months starting in 2009, according to an FBI promotion notice and his LinkedIn profile. Little is known about Chappell’s time at the FBI, but he was cited among experts on Chinese espionage in a Fox News article published two weeks after the start of the Clinton-email probe. Executive Assistant Director Randall Coleman, the seniormost official overseeing the email probe, is also cited in the article as well as the related FBI press release. Despite playing a prominent role in the investigation, Kable’s name is not mentioned in Horowitz’s otherwise voluminous and exhaustive report (pdf) on the handling of the Clinton-email investigation. Chappell, who met the ICIG and worked in counterespionage, is also not mentioned in the report. The FBI would not confirm whether Chappell still works for the bureau. With the exception of Comey, every person in the chain of command above Strzok was replaced at different points during the Clinton-email investigation. On Dec. 9, 2015, Comey moved Kable out of FBI headquarters to the Washington field office, ending his term on the Clinton-email probe. Two weeks after Kable’s departure, Comey appointed Bill Priestap to serve as Assistant Director of the FBI’s Counterintelligence Division, replacing Randall Coleman, who held the same position until Dec. 21, 2015. A month later, Comey appointed Andrew McCabe to replace Mark Giuliano as deputy director, and the following month, Comey appointed Michael Steinbach to replace Giacalone as the executive assistant director for the National Security Branch. If Kable was the fourth person present at the meeting when Rucker told FBI about the email metadata anomalies, Strzok would be the only official who learned of the ICIG lead and remain on the Clinton-email investigation until it was concluded. Priestap, who arrived six months after the ICIG anomaly referral, told lawmakers on June 5 last year that he didn’t know Frank Rucker, the ICIG investigator, and that he was never informed of the referral on the anomalies in the metadata in Clinton’s emails. Strzok reported to Priestap. Meadows: Is this the first time that you’ve ever heard that there might have been metadata on the Hillary Rodham Clinton server that showed anomalies? 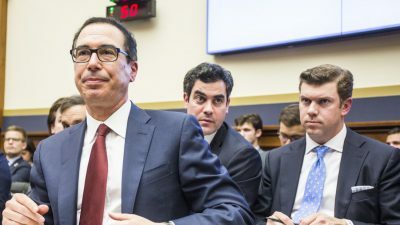 In an exchange that followed, Priestap clarified his answer, noting that if he was told of anomalies he would have remembered. Meadows: — and I’m a Member from North Carolina, and you’re saying that I have better intel than you do? I mean, is this the first time truly that you’re hearing that? I want to give you time to reflect on your conversations. 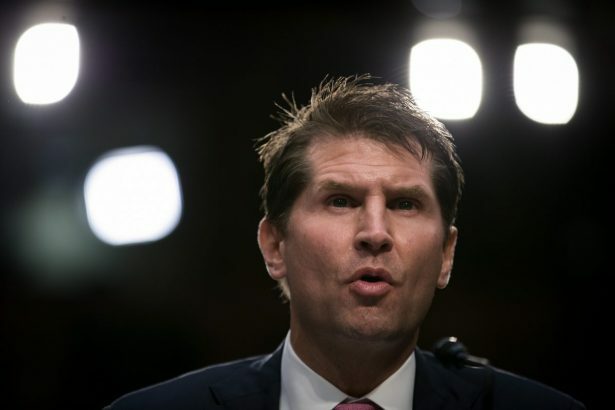 Priestap: Sir, there were — there was a tremendous amount of work done by the FBI in trying to determine whether a foreign service — your words — had penetrated Mrs. Clinton’s server, a tremendous amount of work. Meadows: And I think your comment was there was no evidence. Priestap: I am not aware of any evidence that demonstrated that. 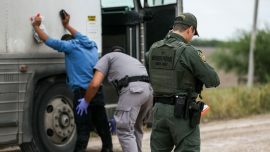 I’m also not aware of any evidence that my team or anybody reporting to me on this had advised me that there were anomalies that couldn’t be accounted for. I don’t recall that. I would like to think that had I been told that, that would have stuck in my mind, because, obviously, from a counterintelligence perspective, there’s the mishandling end of this and then there’s the, did the foreign adversary get access? Those were equally important. 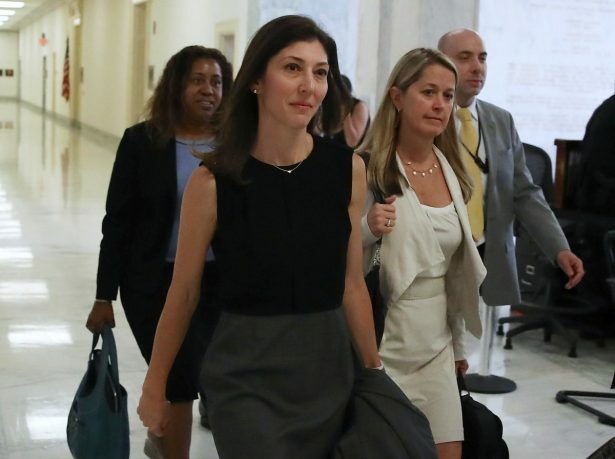 Lisa Page, an FBI attorney and Strzok’s mistress, told lawmakers on July 16 last year that was “completely baffling” to learn of the ICIG anomalies referral during Strzok’s testimony in 2017, almost a year after the Clinton-email probe concluded. “[My] understanding is that the IC IG did refer the existence of the server to the FBI, but that was because of the existence of classified information on that server, not because of any anomalous activity, not because of potential intrusion activity,” Page told Congress on July 16 last year, according to a transcript. Page made the statement during a round of questions with Meadows in which the representative revealed that the ICIG informed the FBI of evidence of intrusion, yet the referral appears to have never reached the broader FBI team working the investigation. Meadows: So what you’re telling me, it would surprise you to know today that, if there were anomalies, that the inspector general’s forensic team found those before it was referred to the FBI? 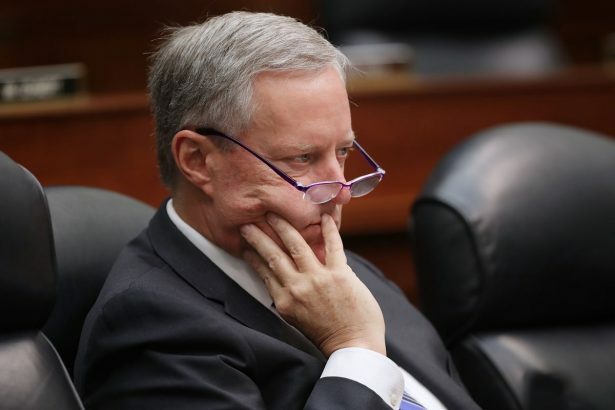 Meadows: Would that — if that is indeed the fact, would that be a major concern to you? Page: It would be a concern that we didn’t know that or that that wasn’t part of what they told us when they made the referral, but less so, sir, honestly because our forensic investigators are so phenomenal that, notwithstanding whatever the IC IG may or may not have conveyed, I know we looked extensively at this question. Because that was a serious question. And to the extent that a foreign government or even a criminal outlet had had access to Secretary Clinton’s private email server, that would have been something we cared very much about. And it’s my understanding that there was no evidence that would have supported that kind of conclusion. Page’s answer is significant because she acknowledged the seriousness of the lead and the fact that she was never made aware of the evidence. 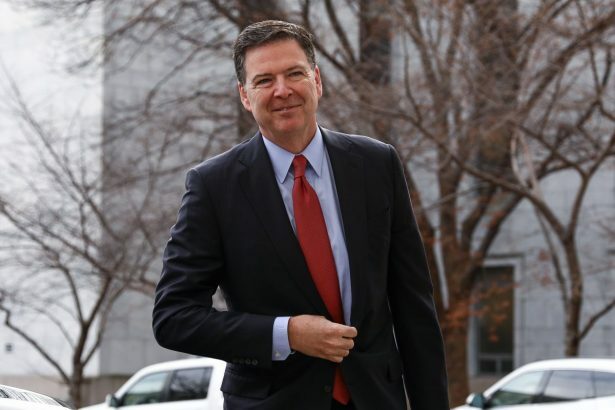 Comey closed out the Clinton-email investigation with an unprecedented public statement on July 5, 2016, saying that the FBI could not find evidence that Clinton’s emails were hacked by a “hostile actor,” but “given the nature of the system and of the actors potentially involved, we assess that we would be unlikely to see such direct evidence.” Comey’s statement did not mention the evidence of the metadata anomalies produced by the ICIG. Comey chose the term “hostile actor” for the statement, a phrase which may or may not include China or other sophisticated adversaries who are not publicly hostile toward the U.S. Among the thousands of Clinton emails reviewed, the bureau found eight emails containing top-secret information and 37 emails containing secret information, and other classified material. Comey ultimately concluded that “no reasonable prosecutor” would bring charges against Clinton or her associates.